Fort Lauderdale Real Estate | How Accurate are Zillow’s Zestimates? Even Zillow CEO Spencer Rascoff has become a victim to the company’s inaccurate Zestimates. Earlier this year, Rascoff’s home sold for $1.05 million, 40 percent less than the property’s Zestimate of $1.75 million. While Zillow publicly acknowledges that Zestimates can be inaccurate, this is another example of just how severe the inaccuracies can be and another reason why you should use a licensed real estate professional or preferably, a Realtor®, to give you a more realistic value of your property. When buying or selling real estate, the local knowledge and expertise of a licensed agent becomes a valuable asset. Online tools are consistently proven to be unreliable for estimating the value of residential or commercial real estate. Zillow publishes the statistics on the accuracy of Zestimates and in Broward County, and the numbers are surprising. In Broward County, only 66.8% of homes sold had a sale price that was at least 5% higher or lower than the Zestimate. Of all the Zestimates for Broward County homes, half of them were off by at least 8.1% of the final selling price. 42.2% of Broward’s Zestimates are more than 10% inaccurate. When applied to a sale price, these percentages become shocking dollar values. Let’s use the average sale price of homes sold in Broward County as of March this year. Based on a sale price of $379,000, it is likely that the Zestimate is off by at least $37,900. Whether buying or selling, close to $40,000 is a considerable amount of money that you could be losing in the transaction. How can Zestimates be so inaccurate? An online pricing tool, such as Zillow’s Zestimates, is not able to take into account the many quantifiable and subjective considerations needed for an appropriate sale price. That’s why a Zestimate could be 40% inaccurate as with Rascoff’s home. The experienced professionals at Dale Palmer Group understand both national and local real estate market conditions, and they know now to adjust prices based on the unique characteristics of each property such as irregular lot shape/size, new electrical, high-end updates, a busy street, etc. at 954-895-8999 or contact-us today. For real estate for sale in our market, see some of our more popular pages. Lauderdale-by-the-Sea is one of the few places where divers can easily access coral reefs from shore. This South Florida town takes pride in its commitment to enhancing and preserving diving opportunities. The town of Lauderdale-by-the-Sea has taken steps to make it easier for locals and visitors to dive and snorkel off its shores. On the beach, the town installed benches with special straps that hold air tanks while divers prepare and remove diving gear. Lauderdale-by-the-Sea actively promotes its snorkeling trails such as its Shipwreck Snorkel Trail south of Anglin’s Pier. The town even offers special scuba diver parking permits. Areas off the shores of Lauderdale-by-the-Sea are listed on the National Register of Historic Places and are designated Florida Underwater Archaeological Preserves. Divers and snorklers can also enjoy the Biorock Reef Project where the town partners with a local university to plant thousands of corals. Lauderdale-by-the-Sea is located northeast of Oakland Park and southeast of Pompano Beach. The beachside town of Lauderdale-by-the-Sea is centered at A1A and Commercial Boulevard where friendly restaurants and shops attract many locals and visitors. How do you manage your credit bills from month to month? Are you a “transactor” who consistently makes more than the minimum payment, or are you a “revolver” making only the minimum payments every month? Very soon, the answer to that question will affect whether you get a mortgage and whether you qualify for reduced interest rates. Starting on June 25th, Fannie Mae, one of the leading sources of mortgage financing, will use additional credit report information to determine your credit risk for mortgage lending. Credit reporting agencies are ready to begin providing this additional “reach back data” to Fannie Mae. This will include two years of continuous month-by-month detail on how you manage your credit. Your FICO credit score, however, will not be affected. Lower risk transactors are seen as more creditworthy and are likely to receive reduced interest rates. Revolvers are considered a higher risk and may even be denied a mortgage. So, if you are planning on buying property and getting a mortgage, make sure you consistently pay off the entire balance of your monthly credit bills or pay more than the minimum payment. This will help place you in a lower risk category and could even help you get better mortgage rates. please call Dale Palmer Group at 954-895-8999 or contact-us today. According to the U.S. Department of Justice, as many as 100 million U.S. adults have some sort of criminal record. That’s nearly one-third of the U.S. population. HUD recognizes that many of those people encounter barriers to securing housing. Even though the Fair Housing Act does not consider having a criminal record a protected characteristic, HUD is taking a more aggressive position on the use of criminal records when making housing decisions. Property Managers and landlords in Fort Lauderdale, Wilton Manors, and throughout South Florida should review their policies and procedures to ensure proper use and consideration of criminal records when screening tenants and renters. 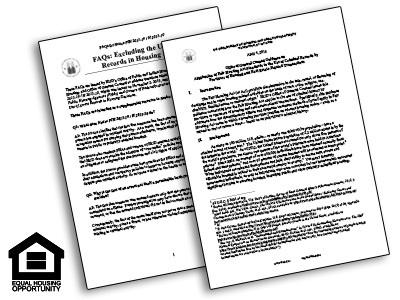 For more information, download HUD’s FAQ on Excluding the Use of Arrest Records in Housing Decisions and HUD’s Guidance on Using Criminal Records. When you own a home without any strings attached, you know you have reached a financial milestone – an impressive one at that. It’s important to take steps to get your final payment credited as quickly as possible. Your mortgage lien should also be cleared from your title. When all is said and done, you will ensure that you can sell your home in the future without unpleasant issues. Keep in mind that your property taxes and homeowners insurance payments won’t come out of an escrow account anymore. Any bills that arrive will have to be handled by you. When do you expect to get your last payment squared away? Roughly 30 to 60 days before that date, contact your loan servicer or lender. Ask them for a payoff quote. Don’t know how? Check your monthly statement for contact information. According to Bill Pinkerton, a senior vice president at Wells Fargo Home Mortgage, many consumers miss their chance to make the payoff process simpler for Fort Lauderdale Real Estate. You might owe more than you anticipated because of the fact that you pay your mortgage in arrears. One month’s payment could cover the previous month’s interest and principal. While the loan is open, the interest grows on a daily basis. However, if you prepaid principal on occasion, you could owe less. When you make a request, the loan servicer must get back to you with your payoff quote within seven days. The servicer will tell you the expiration date for the quote and when interest will again start to accumulate. Be aware that, on top of paying for your final month’s interest and principal, you will also pay a $25 to $50 fee. You have to pay this fee if you want to file a request to release the mortgage lien from your title with the real estate recording office in your county. 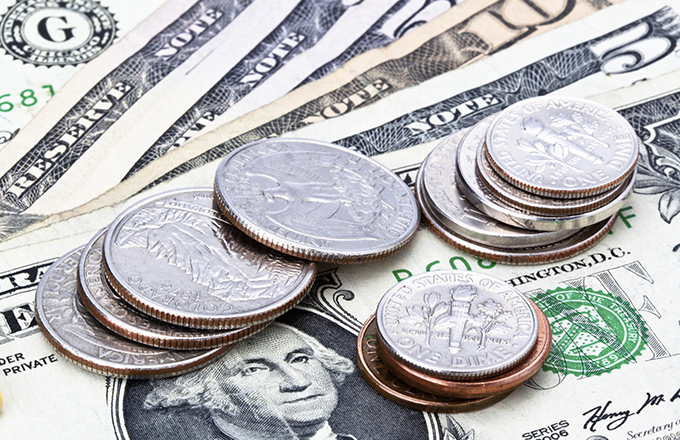 In addition, if your loan terms require it, you may also have to pay a prepayment penalty. Your servicer could ask for a cashier’s check or a wire transfer from your bank account for your final payment. Many states require that a servicer file a release request within 30 days of payoff with the county recorder. Unfortunately, this doesn’t always happen. A California real estate lawyer named Paula E. Meyer sends a demand letter to the servicer using certified mail. It depends on the state, but this action can penalize the servicer. Did your servicer use an escrow account to pay the bills for your property taxes and homeowners insurance? A refund check for the remaining balance must be sent within 20 days of payoff. The account should also be closed. You need to make contact with your tax department and insurers to confirm due dates and ensure you will receive any additional bills in the future. Make things easy by setting up automatic payments through your checking account or credit card. You’re not out of the woods yet for your Fort Lauderdale Real Estate, even if you have a balance of zero in your account and a confirmation letter from the servicer arrived in the mail. Until the county records your release request, you won’t hold clear title to your property. The moment you receive a copy of the document, you’re done. You will either have to pick it up or wait for it to come to you through the postal service. Your loan servicer might be listed as an “additional insured” in your insurance policy. This is done to protect its interest when it comes to your home. Don’t be afraid to ask the insurers to remove the servicer’s name. Be prepared to show them a copy of the recorded release request and the deed to your home. Once the canceled mortgage note is in your hands, frame it on the wall and celebrate. Effective immediately, Dale Palmer Group will utilize Matterport 3D Camera for real estate listings. The Matterport 3D Camera allows for a 24-hour walkthrough experience that makes it easy for potential buyers to explore a home without leaving the comforts of their kitchen or office. Using the latest cloud technology and the Matterport Pro 3D Camera, Fort Lauderdale Real Estate can be scanned and shared with ease. The contours and colors of a space are vividly captured, making a realistic and fascinating tour of a home accessible for anyone with a computer and a few minutes to spare. Whether they’re a few miles away or on the other side of the world, all it takes are a few clicks of the mouse. Matterport’s breakthrough technology ensures endless possibilities and is worth harnessing in the world of real estate. Check out the 1st listing of Dale Palmer Group that we used the Matterport 3D Camera on. 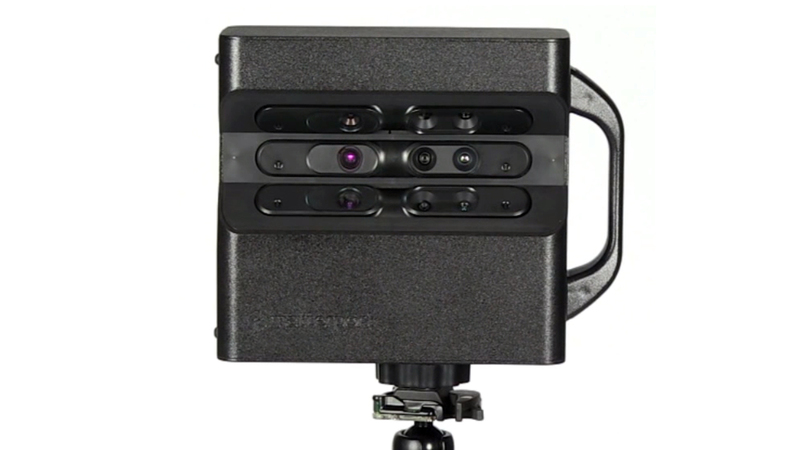 Since its inception by co-founders Dave Gausebeck and Matt Bell, Matterport has given businesses the chance to offer their customers a truly immersive experience, one that leads to sales and satisfaction for everyone. Dale Palmer Group and Matterport are equally committed to giving people a chance to look at Fort Lauderdale Real Estate in a new and unique way. To learn more about Matterport and their various services, visit their website at http://matterport.com/. In recent news, Congress has made notable changes to the U.S. Foreign Investment in Real Property Tax Act of 1980 (FIRPTA). Two of these changes bring benefits to the ever-resilient Fort Lauderdale Real Estate community. A third change carries significance for foreign sellers of particular properties. According to Ralph W. Holmen, associate general counsel for the National Association of Realtors® (NAR), there is a positive side to consider. The new rules stand to make U.S. commercial property much more desirable and attractive to foreign investors. After all, the law makes it possible for a foreign investor to double the maximum amount of stock ownership they might have in a U.S. real estate investment trust (REIT) that is publicly traded. It shifts it from 5 percent to 10 percent. Also, specific foreign pension funds are permitted to invest in real estate investment trusts (REITs), minus the usual FIRPTA treatment. Unfortunately, effective February 17, 2016, these FIRPTA rules make the withholding tax higher for foreign sellers of specified properties. How does new withholding work? The FIRPTA law takes three property purchase levels under consideration. The first is a personal residence worth $300,000 or less. The second is a personal residence with a price over $300,000 that doesn’t exceed $1 million. The third and final level involves properties worth at least $1 million. $300,000: If the Fort Lauderdale Real Estate purchased will be used as a place to live, foreign sellers won’t have to pay a FIRPTA tax. $300,000-$1 million: As long as the property remains a residence, the 10 percent FIRPTA tax currently in place won’t change. Nobody likes taxes. Simply saying the word can produce fear and loathing in the hearts of listeners. However, not everything tax-related is bad. When December rolls around each year, about 50 tax extenders enter the picture in Congress. For those who may not be aware, tax extenders are extensions of tax breaks. People looking to enter the housing market this year stand to benefit from several extenders passed in 2015. Congress and the Senate passed the $622 billion bill, and President Barack Obama is likely to give the extenders his signature. One extender protects underwater homeowners from acquiring a hefty tax bill regarding phantom income connected to a workout or short sale. This is because it involves tax relief for mortgage debt forgiveness. According to Tom Salomone, individual communities and the broader economy have grown stronger as a result of this specific tax relief since 2007. A distressed homeowner can now responsibly address their underwater mortgage. Salomone is president of the National Association of REALTORS®. Tax years 2015 and 2016 are protected by the tax extenders deal. What else is included in the bill? The permanent extension of a cost recovery period that spans 15 years and involves the devaluation of qualified leasehold improvements. This is more important than you think. It guarantees that a commonsense cost-recovery period will stay in place permanently for any improvements made to nonresidential commercial property. Another provision worth noting renews special incentives that promote energy efficient multifamily and commercial buildings. Also included is the extension of an expired tax credit. It ranges between $1,000 and $2,000 for new Fort Lauderdale Real Estate that is energy efficient. 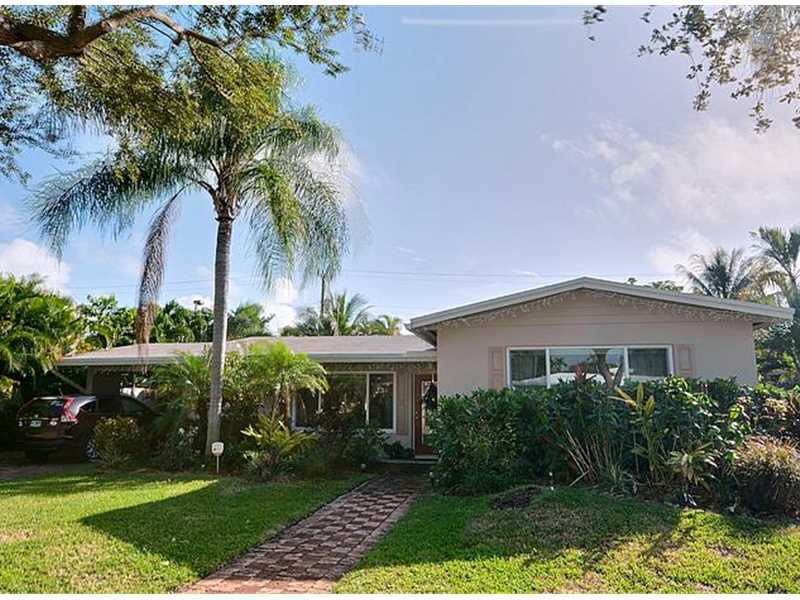 The world of Fort Lauderdale Real Estate can be unpredictable at times, but things seem to be looking up. A survey conducted by Berger Singerman found that real estate insiders believe that 2016 will be a solid year for South Florida. Price gains and sluggish sales in the condo market have not squashed this expectation. About 100 Realtors, lenders, contractors, investors, and developers took part in the poll. The law firm asked the participants for their forecast for the new year. Why won’t we see a significant amount of growth? Europe and Latin America are struggling with unstable economies. 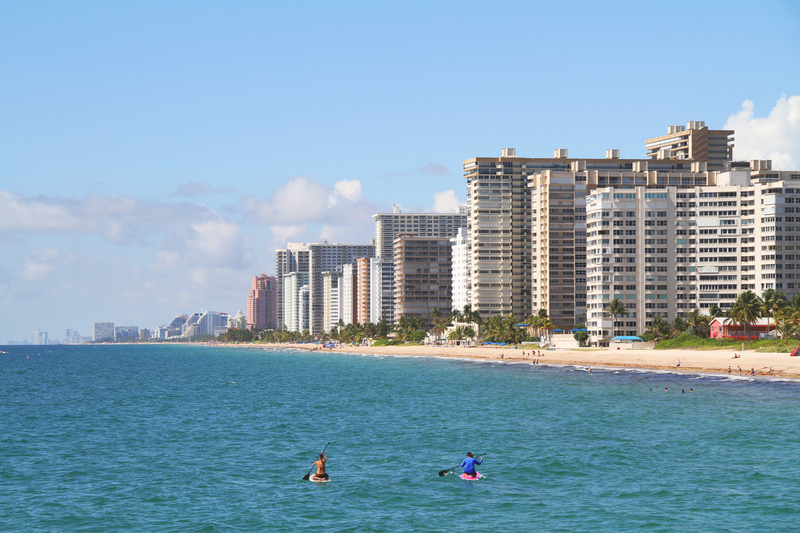 Because foreign investors from these areas have been fueling Fort Lauderdale Real Estate for several years, it’s uncertain when things will really pick up again. The new condo market, a crucial part of the local economy, has benefited the most in the past. Interestingly enough, single-family homes are selling quickly. About 60 percent of participants said that “global economic conditions and uncertainty” was the main reason why they had little confidence in the market. According to the poll, developers have building plans that go beyond condo towers. Results indicated that 26 percent of respondents believe condo development will bring the most returns in 2016. However, the retail (20 percent) and hotel and hospitality (21 percent) districts weren’t far behind.